It’s lurid, it’s bloody, it passes the Bechdel test with flying colours. Dario Argento’s giallo horror Suspiria is an undisputed classic of the genre. With mysterious goings-on (and a couple of sudden, very cinematic deaths) at a German ballet school, an American student is faced with unravelling the truth of the supernatural forces at play. The resulting film is 100 minutes of dizzying vivid colour, suspense, and a soundtrack so intense you’ll hear it in your dreams. The clothes in the film speak to its exploration of femininity – heroine Suzy is all semi-sheer layers and white ruffles, there’s the vampish Olga, who paints her nails a shocking red; the brilliantly butch and tightly-laced teacher Miss Tanner; the dusty, pastel glamour of Madame Blanc – who you sense has more darkness to her than her saccharine cocktail dresses might suggest. It’s no surprise, really, that the world of fashion has looked to it for inspiration. Suspiria is to be reimagined next year by Call Me By Your Name director Luca Guadagnino (and starring Dakota Johnson, Chloë Grace Moretz, Mia Goth and Tilda Swinton, and with a score by Thom Yorke (!). To tide you over until then, though, it opens today at the Barbican, in specially restored 4k. In anticipation, here are four times the runways referenced Suspiria. A lover of films (with another fav being ridiculously fashionable vampire flick The Hunger) Nicolas Ghesquière posted screenshots from Suspiria as a prelude to his SS15 show. “Argento was a B-movie director who wasn’t considered a great at the time,” the Louis Vuitton creative director told us in our Winter 2015 issue. “He cared so much about the construction and details of his films – like the blood that is so red you can’t quite believe it’s blood.” The collection itself did indeed have a somewhat 70s feel, with a violently red, shiny, eel-skin dress, and trippy psychedelic floral prints not unlike the famous wallpaper that appears in the film. 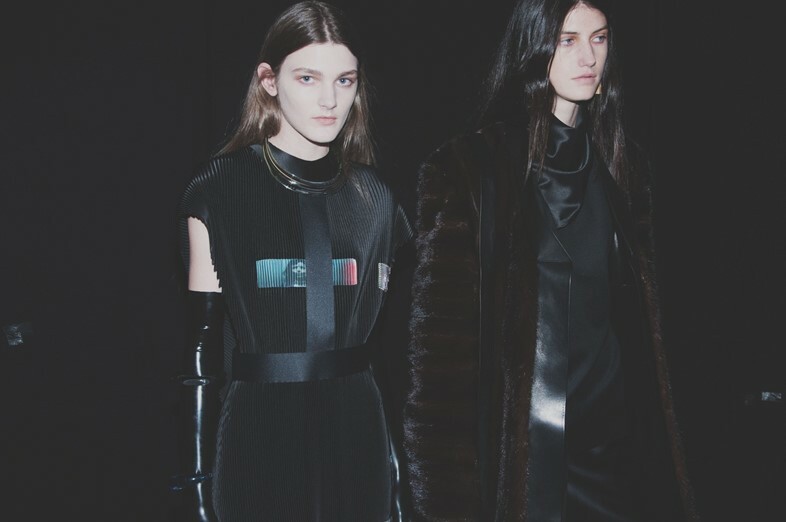 Thomas Tait is perhaps the designer whose Suspiria obsession was most obvious on the runway. 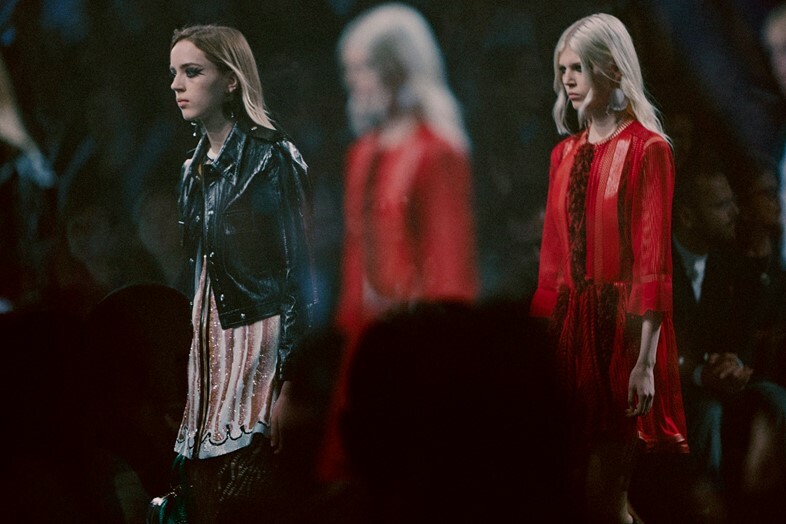 For AW15, everything from the invite to the clothes got Argento-ified – a famous still from the dazzling death scene which opens the film was the dominant reference point. Actually though, it was pretty low-fi – taken from a screengrab he made on his laptop when watching it in bed. “I thought it would be really interesting to make these highly intricate garments and undercut them with a crap image from the film I love,” he told us backstage. The California-born Rodarte designers are certified movie buffs: they even made one of their own, featuring Kirsten Dunst as a ‘cannabis dealer mired in grief and delusion’. Back in AW08, they took reference from Argento for a collection inspired by Japanese horror and ballet (amazing combo), and years later returned to the film to borrow the soundtrack, this time using it for their darkly romantic AW16 show. If that wasn’t enough, they even put on a screening once for LA org Cinefamily’s women-curated weekender. “This season I was listening to the soundtrack of Suspiria, the ’60s Italian horror movie that went on to win an Oscar. It’s a beautiful soundtrack by the Italian band Goblin,” Joseph Altuzarra told T back in 2012. While he wasn’t quite on the money with the facts (70s not 60s, and no Oscar) we can forgive him for his on-point assessment of Goblin’s soundtrack. A skin-tingling synth fantasia, its crescendoing chants make it one of cinema’s most memorable. It took him a couple of years to actually use it in a show, but it accompanied his 70s-tinged SS15 collection down the NYFW runway.